In this Photo Effects tutorial, we'll learn the basics of using Photoshop's layer blend modes to blend a texture with a photo, a simple yet powerful way to give an otherwise ordinary image more of an artistic and creative edge. We'll learn how to quickly cycle through the blend modes so we can choose the one that works best, how to blend only the brightness values of the texture so the photo can keep its original colors, and how to invert the brightness values to create a different result. 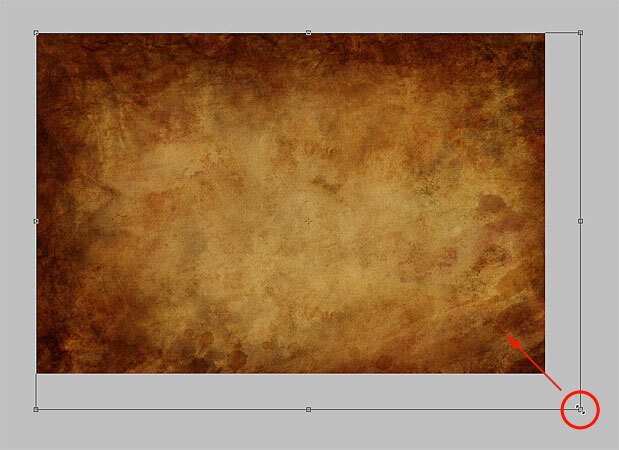 For this tutorial, I'll be using an old paper texture from a stock photo website, but the great thing about textures is that you can find interesting ones almost everywhere you look, indoors or out, and all you need to capture them is an inexpensive digital camera or even the camera on your cellphone. Point it at an interesting design on a leaf or a rock, a cloud in the sky, a piece of wood, a patch of rust, or frost on a window. You can also place different objects on a scanner to capture them as textures. Old book covers, maps, crumpled paper, even pieces of cloth or carpet make great choices. 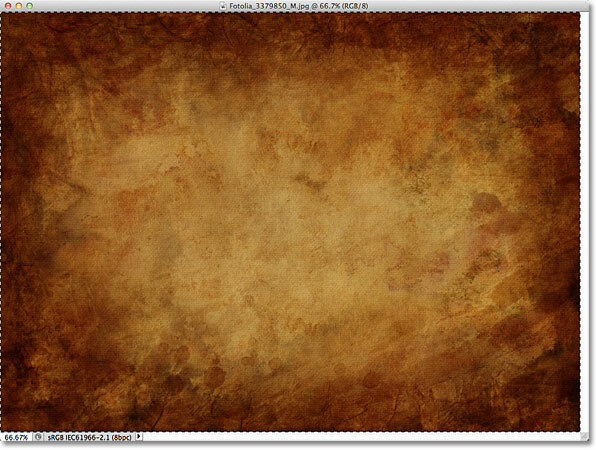 And of course, a quick Google search on the web for Photoshop textures will turn up endless results. Before long, you'll have an entire collection of unique textures to choose from when you need them! 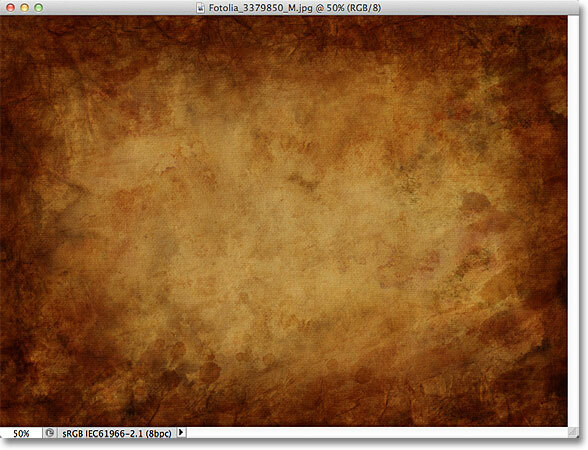 The texture that will be blended into the photo. A selection outline appears around the edges of the texture. Go to Edit > Paste. 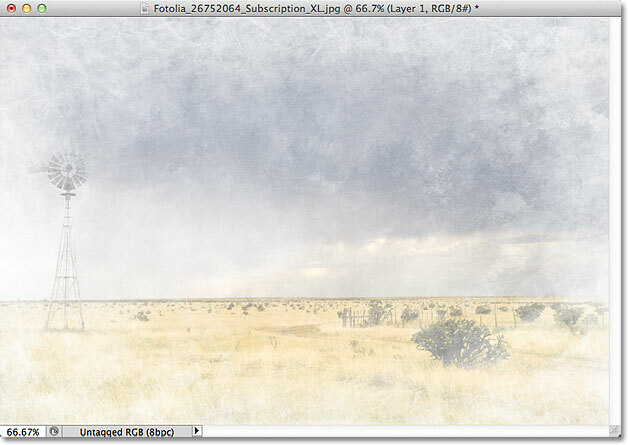 The photo and texture are now on two separate layers inside the same document. 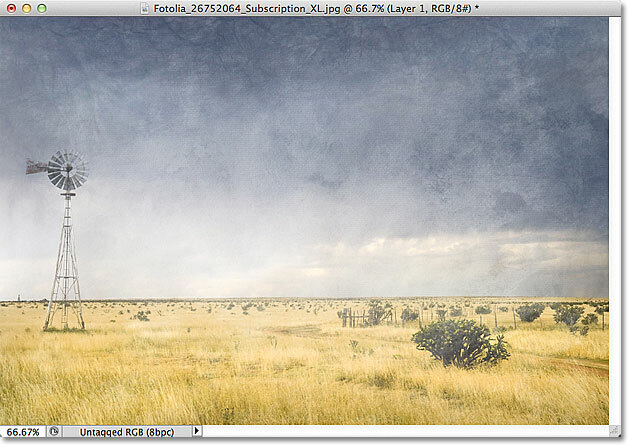 Resizing the texture to fit the dimensions of the photo with Free Transform. Select Photoshop's Move Tool from the top of the Tools panel, or press the letter V to select the Move Tool from the keyboard. We're not actually going to use the Move Tool for anything, but in a moment, we're going to learn a handy keyboard shortcut for quickly cycling through the layer blend modes so we can see which one will give us the best results for blending our texture with the photo. Hold Shift+Alt (Win) / Shift+Option (Mac) and press + or - to cycle through the blend modes. Generally, the Multiply, Screen, Overlay, Soft Light, and Hard Light blend modes will give you the best results for blending your texture with the photo, but be sure to try each of them and choose the one that you feel works best for the look you're trying to achieve. In my case here, I think I like the Screen blend mode the best, but you may end up choosing a different one for your image. The image in the preview thumbnail shows that the color has been removed from the texture. The effect of the Screen blend mode before removing the color from the texture. The effect after removing the texture's color. Inverting the texture can sometimes produce more appealing results. Lowering the opacity of the texture layer to 50%. 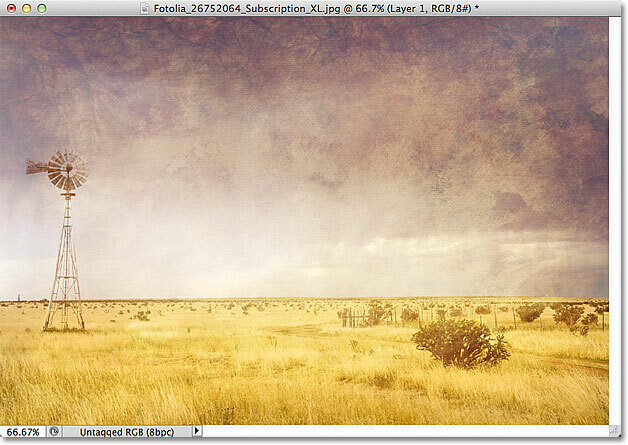 The effect after lowering the texture's opacity. 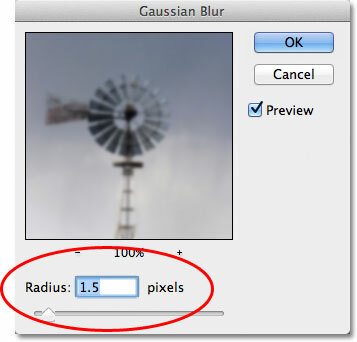 The Radius value controls the amount of blurring that's applied to a layer. 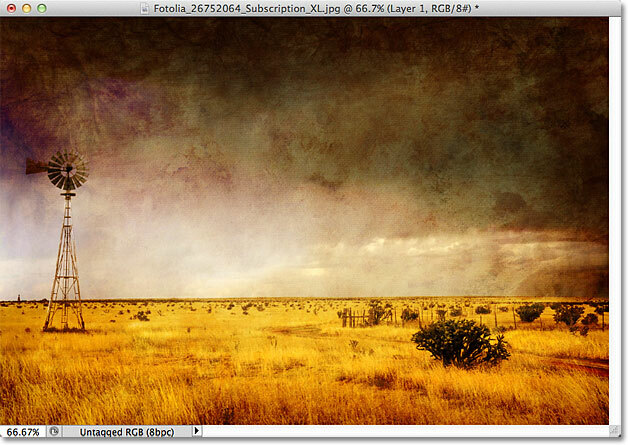 The image after blurring the Background copy layer. 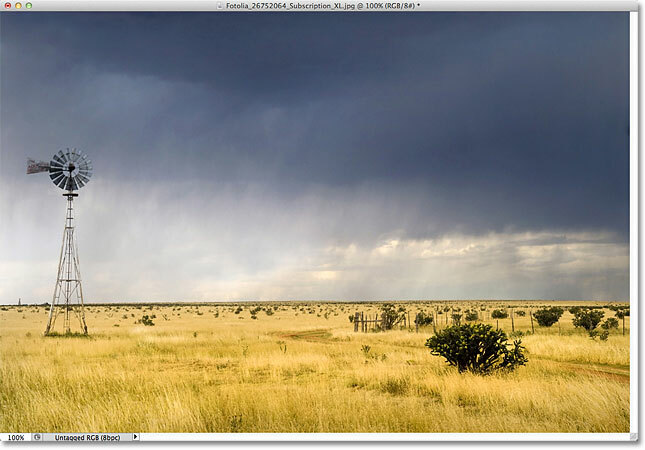 Selecting Hue/Saturation from the list of adjustment layers. 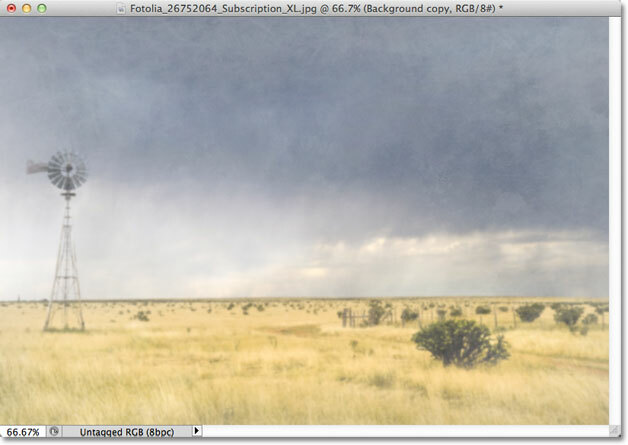 Drag the Saturation slider towards the left to lower the color saturation in the image. And there we have it! 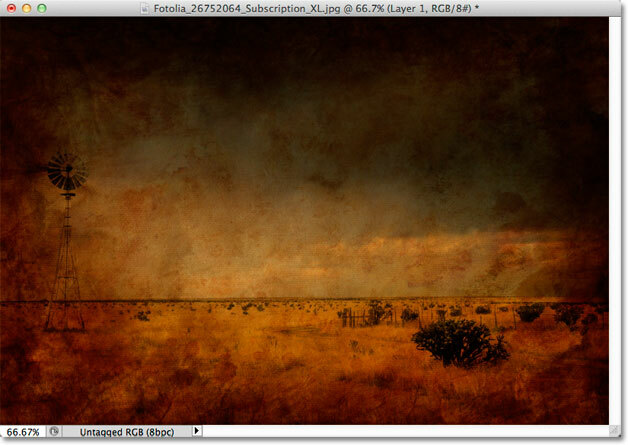 That's the essentials of blending textures with photos using layer blend modes in Photoshop! Visit our Photo Effects section for more Photoshop effects tutorials!